Look who shows up in your community. It's the Girl Scouts of America Regional Office in Vernon Hills, IL. And today's message is... take it from the experts. 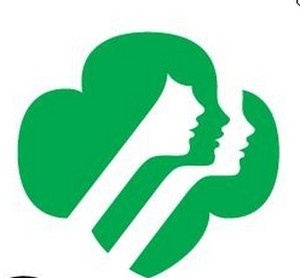 The Girl Scouts have become a standard part of our culture. With iconic leadership building activities and fundraisers such as the cookie drive, the Girl Scouts of America have grown into a right of passage for most young women. Off in the distance, we saw their custom logo flag and felt the urge to run over. We found ourselves in a tiny amphitheater which gathered around the flagpole. What a nice way to fly a flag. Experts? And why would they be experts? On March 12th, 1912, the girl scouts met for the very first time. That's over a 100 years of flag flying experience right there. With an organization focused on leadership training and development for the future, the Girl Scouts do not take anything or anyone for granted. This shows in the flag display and memorial. From the engraved stone-work to the rock with the plaque, the grounds are well maintained as is the flagpole. The Amphitheater presents a nice opportunity during the warm months for people to gather and discuss. What is central? The flag. This is a great example of flagpole positioning. The flag is not out at the street or out by the building sign, it is tucked in up by the building in a special meeting area. Even with it's own stage and audience locally on the plot of land, it can still be seen from the heavy traffic on either road as it is located on the corner of the building. This creates a dual effect. One for the intimate gatherings and outside meetings. And the other for the driver to so see the flagpole and custom Girl Scouts flag. The Girl Scouts embrace new technology while holding on to their traditions and mission to empower young women across the country. With interactive microsites such as this one here, to camping opportunities also right here on site. This organization looks outward and inward for constant development of programs to best fit their people. The Girl Scouts are giving their people a flag to follow.